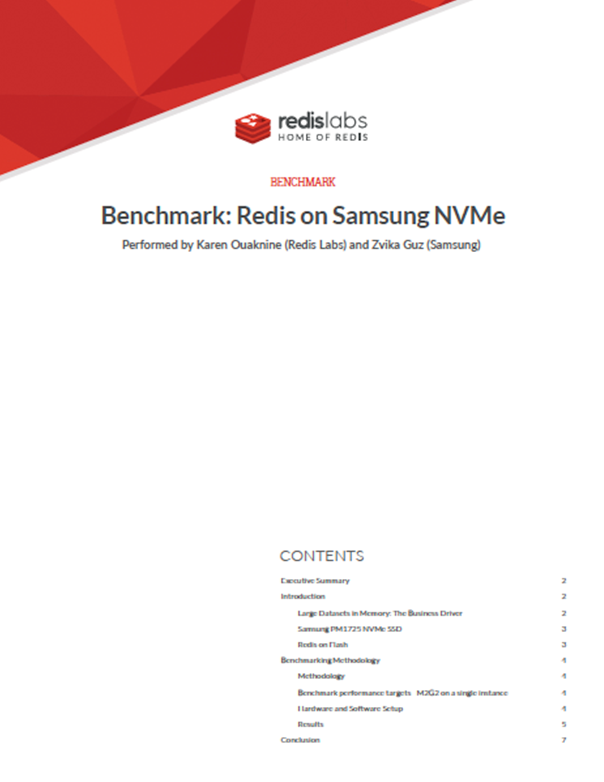 The combination of Redis on Flash and Samsung NVMe SSD has set a new industry performance record: delivering over 2 million operations/second, over 1GB disk throughput and over 1Gbps network throughput on a single server while keeping latency under 1 millisecond. This represents a 40X increase in throughput with NVMe based SSDs, while the cost of the new SSDs is likely to be only incremental compared to SATA-based SSDs. This signifies a generational change in the economics of in-memory computing.